Fresh from a much-heralded set at the Coachella Festival, and just three weeks after they sold out Terminal 5, Cut Copy have announced their return to New York. Today, the Melbourne, Australia electro-pop quartet announced their headlining show for the Celebrate Brooklyn Festival on August 11 at the Prospect Park Bandshell. Unlike most festival events, which are free, the show will be a benefit and tickets are $35, on sale now. They’re also performing upstate at the Camp Bisco festival in July, as previously reported. 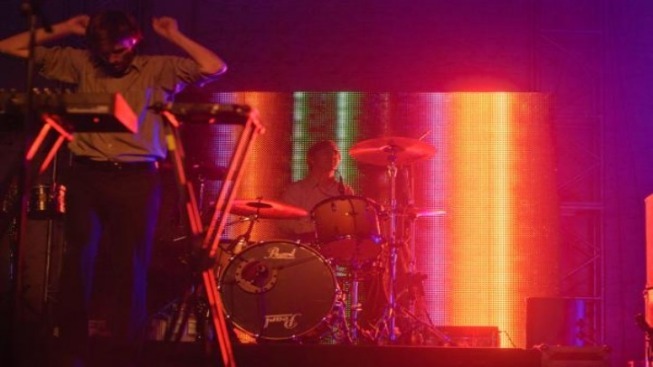 Cut Copy are currently touring in support of their third album, Zonoscope, which includes the now-ubiquitous sing “Need You Now.” The record peaked at #2 on the US Dance/Electronic charts and #46 on the overall Billboard charts. In fact, the Celebrate Brooklyn gig is just one of a newly expanded tour; just can’t keep these boys off the road!